Common Cause Oregon is building a democracy where everyone has access to a free and open internet and internet service provider companies are held accountable to consumers. 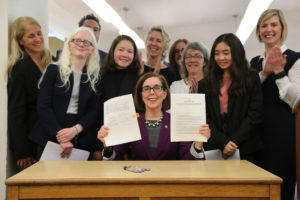 Oregon took the lead in what’s now a growing list of states that are stepping up to protect the free flow of information online in the wake of the Federal Communications Commission’s decision to repeal “net neutrality” protections. Public opinion polls indicate overwhelming popular support for maintaining net neutrality protections. The Oregon bill will require state and local governments to do business only with ISPs that observe net neutrality protections. Essentially, that means the providers must not move information from some websites faster than they move that of others.